DR Model with drill head for dowel hole drillng at same time. 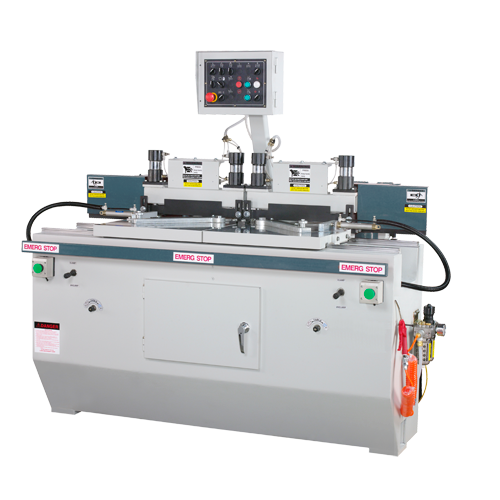 Fully automatic cycle function, just place the material against the stops, machine will automatic clamp, move in for shaping and drilling, come out and release the hold down. One shaper head and one drill head for the dowel at each side of the table. Twin table moves in and out separated for tongue and groove, end match application. Twin heavy-duty pneumatic pistons hold down the work pieces tightly to the table during the cutting process. Liner guide rails and bearings let the table moving smoothly during the cutting process.